There are very few sauces which are black-colored. Squid ink is one of the few well known ones. Japanese black sesame sauce (goma-ae) should be another; its shiny black color is mysterious and dramatic. Since the sauce is nutty and slightly sweet, it complements many types of blanched or cooked vegetables such as: fava beans, green peas, spinach (shown above), broccoli, broiled and peeled eggplant, edamame, and string beans. This sauce is made from just a few ingredients: raw (untoasted) black sesame seeds, soy sauce, sugar, and dashi. The first step is to toast and then grind the sesame seeds. The recipe starts with raw sesame seeds because once they are toasted, the oil can quickly become rancid. Raw sesame seeds stay fresh for much longer, so sesame seeds should be bought raw and toasted as needed. Japanese cooking almost always uses unhulled sesame seeds; thus tahini can’t be substituted for the sesame seed paste made by this recipe since it is made from hulled sesame seeds. The hulls give the sesame paste a coarser texture, a richer flavor, and a darker color. Since the hull is the black part of black sesame seeds (the seed underneath is tan), black sesame seeds are always unhulled. Raw unhulled sesame seeds can often be found in organic and natural food stores (Japanese markets often only have pretoasted seeds). A Japanese-style suribachi mortar and pestle is the best tool because it has grooved edges inside the bowl which are especially well suited for grinding sesame seeds. The pestle is scraped against the grooves in a circular motion to grind the seeds to a paste. The remaining ingredients of the sauce can also be easily be combined in the mortar using the pestle. Suribachi mortars and pestles are sold in Japanese cookware stores and the cookware section of many Japanese markets; they are inexpensive because they are made out of ceramics. Larger mortars (about 8.5 inch diameter) are more convenient to use since they can hold greater quantities and the vegetables can be tossed with the sauce directly in the mortar. 1 bunch of spinach, blanched and gently squeezed to remove excess water so that it won’t dilute the sauce but not enough to severely bruise the spinach. 1 pound of unshelled green peas and 1 pound of unshelled fava beans, shelled and blanched (about 1 cup shelled). Remove the fava bean’s inner skins after blanching. Peas can be substituted for fava beans or vice versa. Blanch or cook the vegetable until it is crisp-tender (See “Blanched Vegetables” if you’d like a recipe), drain and pat dry. The sauce can be served with the vegetables in many ways; for example it can be tossed with the vegetables, drizzled over, or arranged under, around, or over the vegetables. Optionally garnish with a pinch of toasted black, brown, or white sesame seeds. Serves 2 to 4 people as a side dish. Presentation suggestions are given after the recipe. Do ahead: The sauce and the blanched vegetables can be prepared up to one day ahead of time. If prepared an hour or so ahead of time, store the cooked vegetables at room temperature and the sauce in the refrigerator. For longer storage times, keep both the sauce the cooked vegetables in the refrigerator (up to 1 day). Dry toast the sesame seeds (see here for detailed instructions). 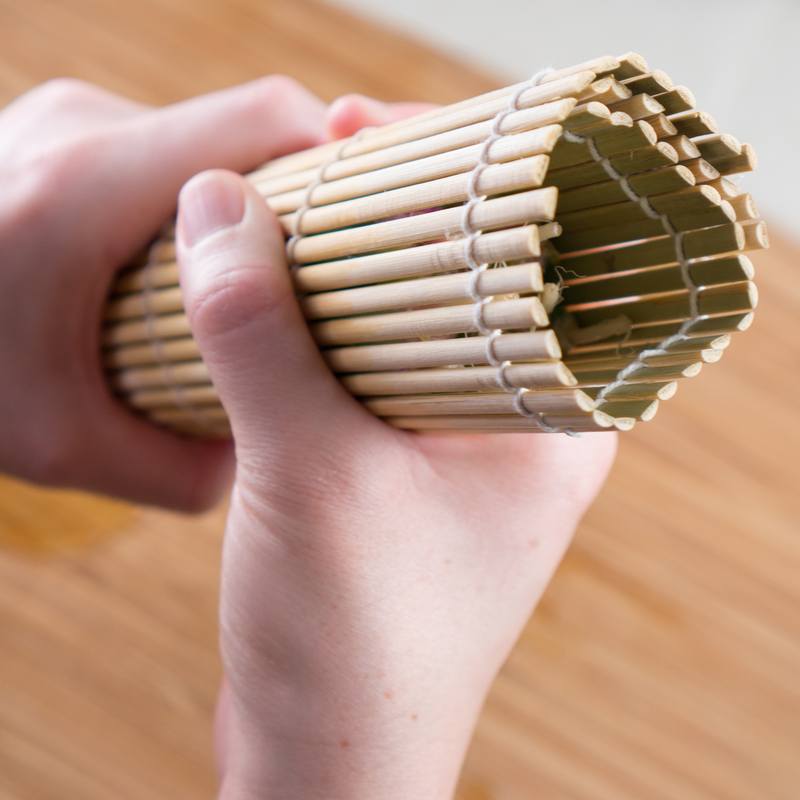 Immediately place the seeds into a suribachi mortar. Grind the toasted sesame seeds while they are still hot, by scraping the seeds in a circular motion with the pestle against the mortar’s grooves until the seeds can no longer be distinguished and the paste is the consistency of finely-textured damp sand. Add the soy sauce and sugar and grind well. Start by adding half the dashi to the sauce and regrind to mix. Carefully mix in however much of the remaining dashi that is needed to make the sauce just slightly looser than hummus–an oozing and drippy consistency which will drape over and cling to the vegetables (if too much liquid is added, the sauce will be too thin to stick to the vegetables). Taste. If the sauce isn’t salty enough, add a bit more soy sauce or a tiny pinch of salt. The sauce can be served at room temperature but it benefits from being cooled in the refrigerator; the sweetness of the vegetables is completed by the sweetness that the cold brings out and the coolness emphasizes the flavor and the complexity of the dashi. Keeps up to 1 day refrigerated. Keep the sauce separate from the vegetables until just before the dish is served. Variation: Substitute miso (any type) for the soy sauce. Since misos vary greatly in saltiness, the miso should be added to taste. Start by adding 1 tsp miso and add more as necessary. Add an additional 1 Tbsp or more dashi to thin out the sauce until it is looser than hummus since the miso thickens the sauce. This makes a richer tasting sauce. Variation: It is possible to substitute raw white or brown unhulled sesame seed for the black sesame seeds. The brown-colored sauce will taste good though it will lack the drama of the black-colored version and may have an off-putting resemblance to brown-colored baby food or diluted chunky peanut butter. So the brown sauce should be presented in a way which doesn’t emphasize the sauce such as mixing it with the vegetables, smoothing it underneath them, or drizzling it over in thin ribbons. Blanched Asparagus: Before serving, line up the blanched asparagus stalks so that they face in the same direction, and cut them lengthwise in half or thirds so that they will be easy to eat with chopsticks. Arrange on a plate, lined up in the same order that they were before being cut and drizzle the sauce over. Buy raw mature bunched spinach that still has its stems attached at the root. Soak in water to wash away the dirt, but leave the bunches attached at the root. Blanch them whole. Rinse with cold water to cool. Align the roots and leaves of the spinach bunches on a sushi mat. Use the mat to roll the spinach into a round tight bundle and to squeeze out excess moisture. 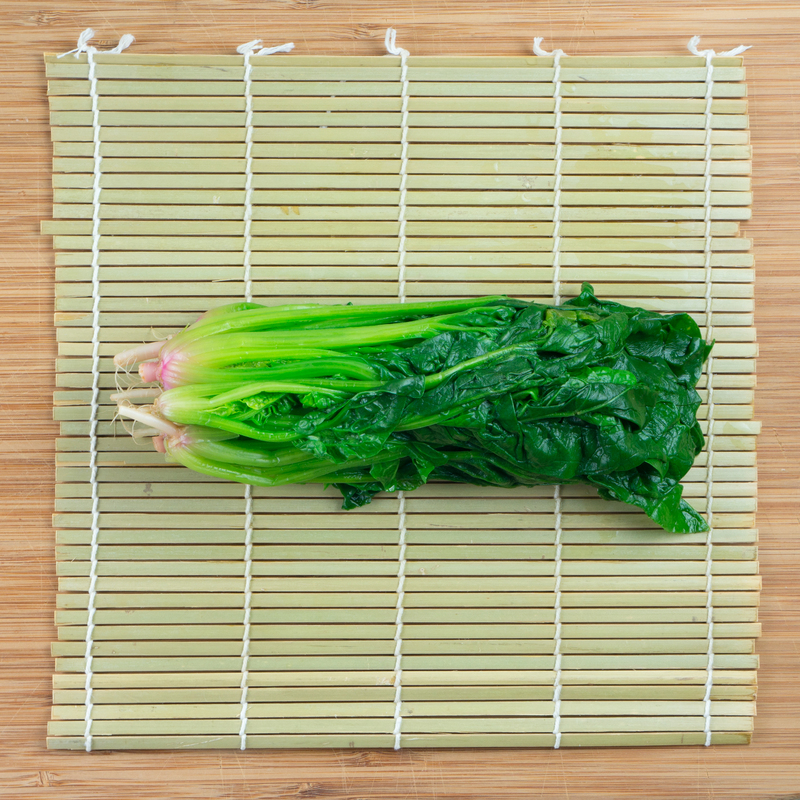 Unroll, place the spinach bundle on a cutting board. Cut off the roots and discard. Cut the bundle in half lengthwise. Since the bundle is thinnest at the top and thickest at the stems, place the two segments adjacent to each other so that the top of leaves are next to the bottom of the stems in order to even out the thickness. Use the mat to roll the spinach into 1 compact circular-shaped bundle. Cut in half again and line up the two bunches. Use the sushi mat to roll into one bundle. Repeat cutting and rolling until the spinach bundle is about 2 inches tall. Just before serving, spread half of the sauce on a plate, and place the spinach dish on top. Spread the rest of the sauce on top of the spinach and garnish with toasted white or brown sesame seeds. Either dip the spinach into the sauce as it is eaten or mix the spinach and the sauce just before eating. 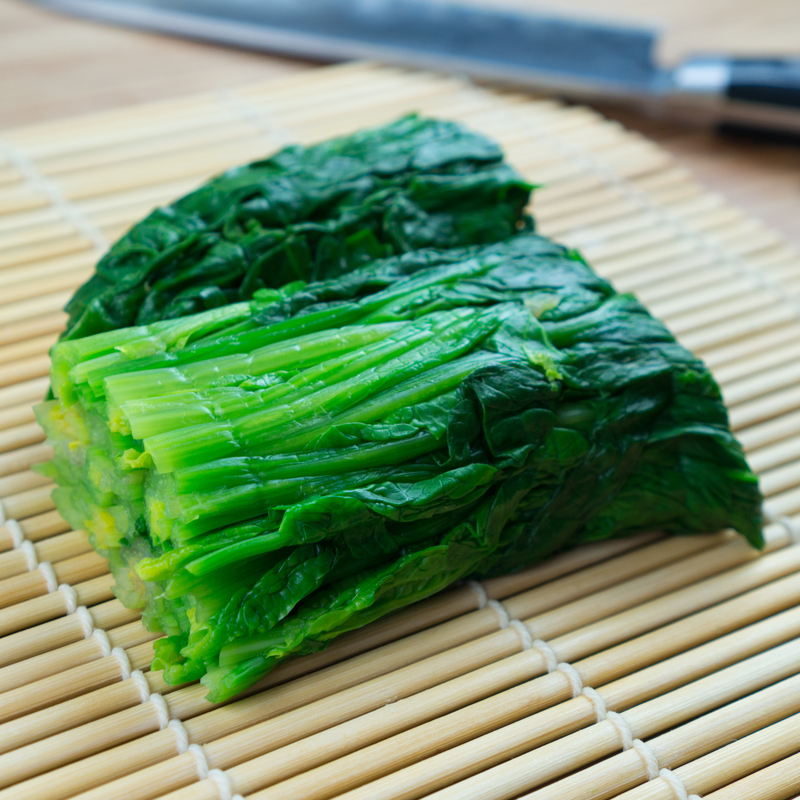 Note: If you can’t find any spinach which is attached at the stems, it is possible to use mature bunched spinach that has been cut at the stems — it will take more time to line up the stems and leaves before rolling it in the sushi mat. 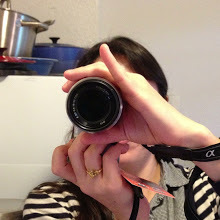 Presentation 2: To make molded spinach: Gently pack the spinach into a ramekin or cup. Spread the sauce on the bottom of a small bowl and over turn the cup or ramekin into the middle of the bowl, and gently tap to dislodge the spinach. Store in the refrigerator if it won’t be served for a few hours. Either dip the spinach into the sauce as it is eaten or mix the spinach and the sauce just before eating.